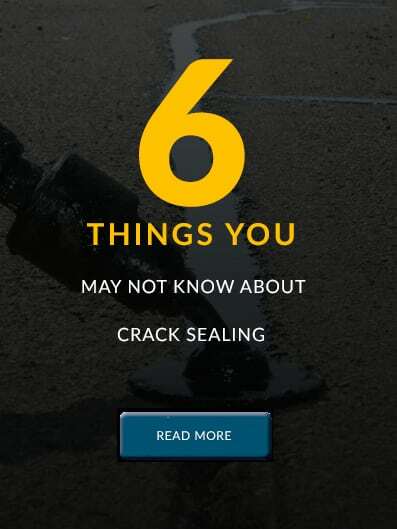 Crack sealing prolongs pavement usability and saves taxpayer money. 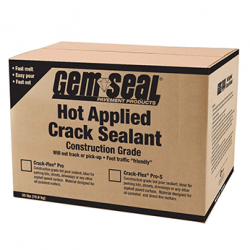 GemSeal offers an extensive line of crack sealant types that have been engineered for quick, easy, and long-lasting repairs. These products perform well in areas experiencing heavy vehicle or pedestrian foot traffic as well as in specific temperature ranges. 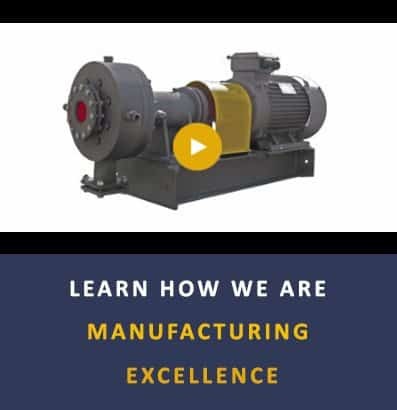 We offer sealant types designed for both oil-jacketed and direct-fire melters as well as sell and rent application equipment. Before choosing a crack sealant or repair method to fit your specific needs, contact your local GemSeal representative or consider these Selection Factors. GemSeal’s hot-applied crack and joint sealant designed to melt fast, set fast, and resist scuffing from power steering marks. It will not pick-up on car tires. Excellent for city streets. 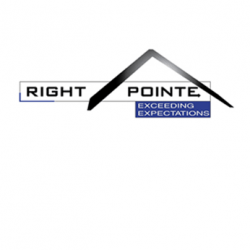 Right Pointe #3405 Regular Hot Applied Sealant is formulated with selected asphaltic resins, synthetic polymeric rubber, plasticizers, stabilizers, and a blend of organic reinforcing fillers. This economical material is a hot applied, one part sealant that provides excellent results under extremely varying conditions. #5078 HOT APPLIED SEALANT is Right Pointe’s most economical sealant material. Hot applied and one part sealant, this material is recommended for sealing of joints and cracks in concrete and asphaltic pavements plus it works well over roofing and straight paving grade asphalts. Right Pointe #5078 Class A is a mixture of asphalt, plasticizer, reclaimed tire rubber, and synthetic polymer. One part sealant, this product is hot applied. Because it is made using reclaimed tire rubber, it is an economical choice and provides excellent results for roofing and straight paving grade asphalts. 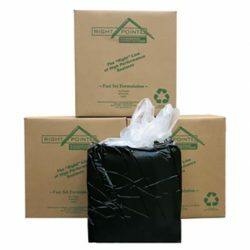 Right Pointe #5078 Class B is a mixture of asphalt, plasticizer, synthetic polymer, and reclaimed tire rubber. One part sealant, this product is hot applied. It is a flexible product that provides superior results over roofing and straight paving grade asphalts. Parking Lot Sealant Class A is formulated with selected asphaltic resins, synthetic polymeric rubber, plasticizers, stabilizers, and a blend of organic reinforcing fillers. One part sealer, this material is hot applied. It provides excellent results under extremely difficult conditions. Right Pointe RP 515 is a hot applied sealer designed specifically for asphalt pavements experiencing a high degree of vehicular traffic and the action of power steering twisting and turning. RP Flex Type 3 Hot Applied Sealant is formulated with selected asphaltic resins, synthetic polymeric rubber, plasticizers, stabilizers, and a blend of organic reinforcing fillers. 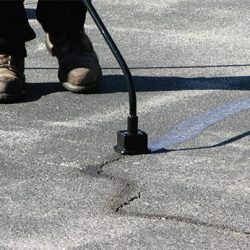 This joint and crack sealant is especially designed to perform well on pavements located in warm to hot climates. 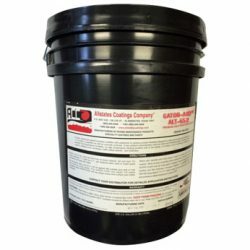 A ready-to-use blend of an asphaltic emulsion, mineral filler, glass fiber, ground rubber, and plasticizers designed especially for use on “alligatored” asphalt. A polymer modified asphalt emulsion cold pour crack sealer. 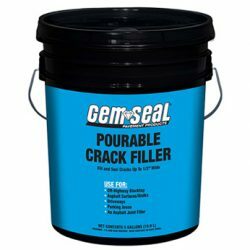 Adheres tightly to sides of properly prepared cracks and joints to create a waterproof seal.